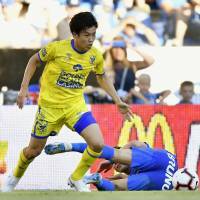 GENK, BELGIUM - Japan defender Wataru Endo scored on his debut for Belgian first-division side Sint-Truiden in its 1-1 draw away to Genk on Sunday. 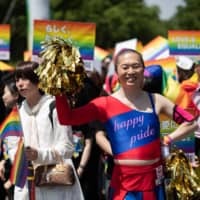 The former Urawa Reds player made an immediate impact for his new club, netting the equalizer three minutes after coming on as a 69th-minute substitute. Collecting a pass from striker Yohan Boli on the edge of the area, Endo struck a first-time shot that beat Genk keeper Danny Vukovic inside the left post. Ukrainian midfielder Ruslan Malinovskyi had given Genk the lead from a free kick in the 68th minute. 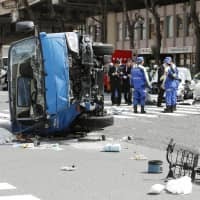 The 25-year-old Endo, who transferred from Urawa last month, was a member of the Japan squad at the recent World Cup in Russia but did not see any game time at the tournament. 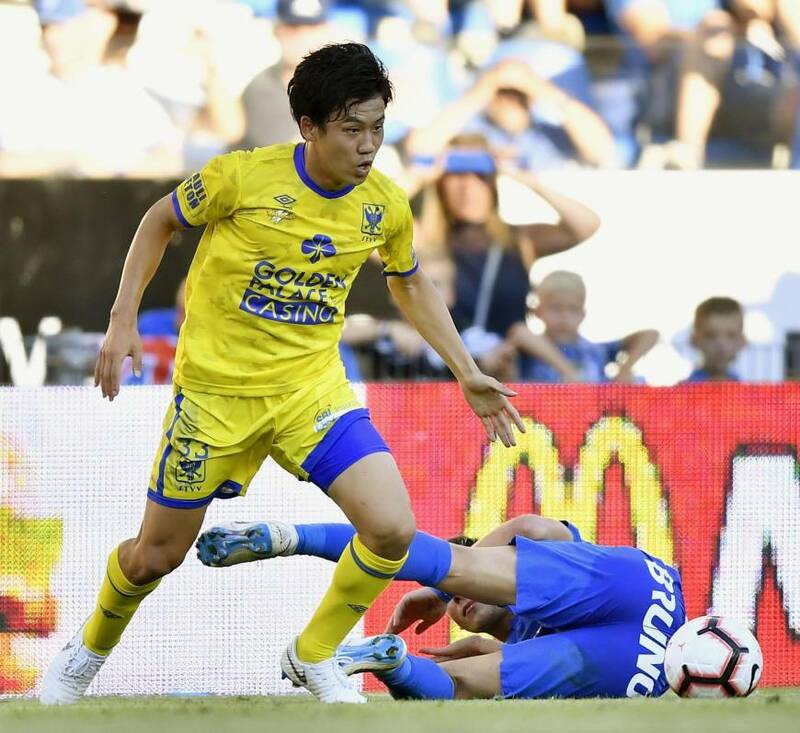 Playing alongside Endo at Sint-Truiden is 19-year-old compatriot Takehiro Tomiyasu, who has recorded 90 minutes at center back in both of the club’s matches so far this season. Tomiyasu, who came through the ranks with J. League side Avispa Fukuoka, transferred to Sint-Truiden in January. The Belgian First Division A side drew its season opener 0-0 with Cercle Brugge at home on July 29.